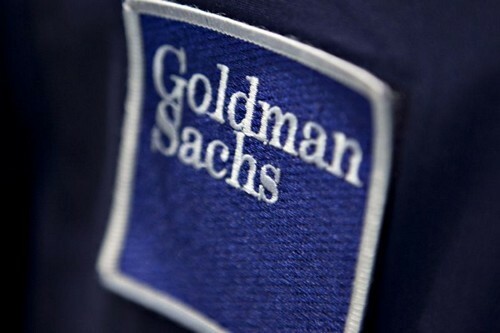 Bloombergreports that banking institution Goldman Sachs is set to launch a cryptocurrency trading desk by July of next year. Goldman is mainstream within the mainstream, topped off with some extra mainstream in case anyone was wondering about its mainstream cred. It just doesn’t get any more American banking than the one 150 year old institution. It’s an integral part of any US weighted financial average, including the Dow Jones Industrial Average (DJIA) and the S&P 100 and 500 components. It boasts over 35 billion USD in revenue and has enough employees to nearly sell out a professional baseball stadium. Take a job at Goldman and there’s a chance you just might end up running Europe’s central bank (Mario Draghi), landing the printing press at the US Treasury (Steven Mnuchin), heading the Bank of England (Mark Carney), or become the prime minister of Australia (Malcolm Turnbull). And should Goldman ever have financial trouble, not to worry: taxpayers will float a cool ten billion dollars in relief just as usual because, well, it’s Goldman! Goldman “is now assembling a team in New York,”Bloombergcontinued. “While the bank hasn’t made a decision where to house the desk, one possibility is that it will operate within the fixed-income, currencies and commodities unit’s systematic trading function, which conducts transactions electronically,” the report paraphrases two unnamed sources as having said. Its CEO, Lloyd Blankfein, has played possum with bitcoin for months now. He first tweeted a mild defense of the world’s most popular cryptocurrency back in October, but of late has been heaping skepticism on bitcoin’s long-term viability. His leadership team also put heavy restrictions on clearing bitcoin futures as CME and Cboe made contract markets.